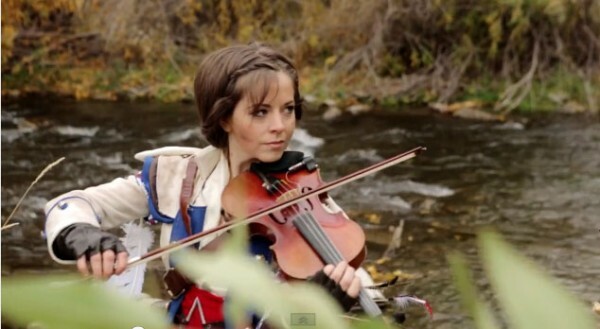 I’m a big fan of Lindsey Stirling and am currently obsessed with Assassin’s Creed III, so when I saw this video, I geekgasmed all over. Sorry for the mess. Not only does she do her typical violin rendition of the Assassin’s Creed III theme, she also does parkour in the woods dressed as female Connor, the main protagonist in AC3.